The Status 580 (originally called the Status 19) was designed by Van de Stadt in Holland in 1974. 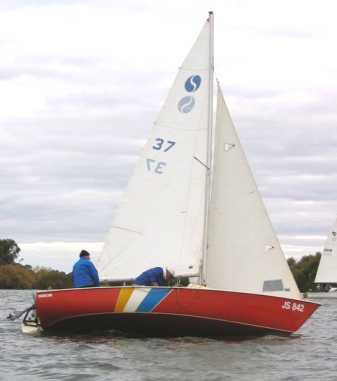 It is based on the successful 'Van de Stadt 19 Spanker' The Spanker is a large Dutch 19 foot hard-chined and beamy plywood sailing dinghy which from the photographs looks similar to a 'Wayfarer' multi chined cruising dinghy. They have a Spanker class association in Holland today which has a web site (for those who can speak the language). 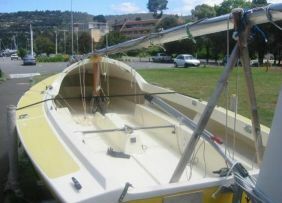 The spanker is 19ft long, has a 6ft 3in beam and 15 m2 of sail area. 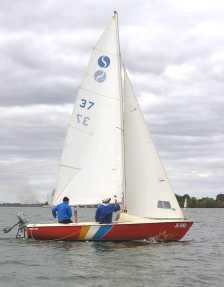 Prior to 1973 600 boats were registered in Holland. Van de Stadt was a top designer in the 50's and 60's and he was responsible for many light displacement plywood racers in the early sixties. He designed the very fast and progressive 'Pioneer 10 ' fibreglass production offshore racer. They were built by Rob Legg Yachts in the '80s and later by Timpenny Yachts in Sydney with modifications for a larger cabin. They are self draining with moulded GRP interior with built in bouyancy between the inner and outer shell. Some Status were built with a larger cabin and were called Status Slipstreams.